Ek aur mastani Mehfil, AAGHAAZ ke naam! Aaghaaz is a family now rather than just a stage for artists. 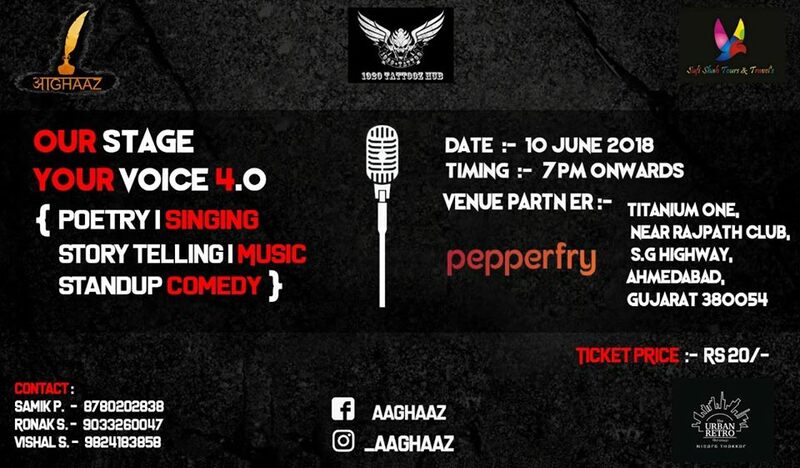 We would like to annouce our next open mic event Our Stage Your Voice 4.0 on 10th June 2018.